In 2011, there was a disaster at the Fukushima Daiichi Nuclear Power Plant in Japan. As a result many Japan used vehicle importing countries require that vehicles be inspected for radiological contamination prior to leaving Japan. 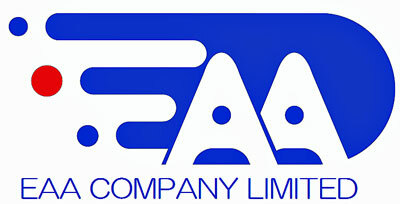 EAA are an experienced and professional provider of surface radiation inspections for cargo (including used vehicles). EAA is accredited to ISO/IEC 17020:2012 for the provision of radiation inspection in Japan. ● The use of modern and properly calibrated inspection equipment. ● A Radiation Inspection Certificate is provided upon completion of each inspection. ● An inspection certificate copy may be provided by EAA (an additional fee may apply). ● Adhesive sticker for commodities determined to be free of excessive radiation levels. ● Inspections based on International Standards for Radiation testing. How will I know that EAA has completed a Radiation inspection of my vehicle? Once we have completed a radiation inspection, EAA places a specially designed "Radiation Free" sticker on the front windscreen of each vehicle that passes the inspection. 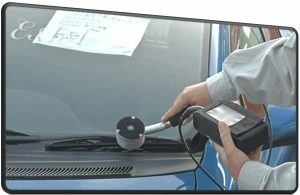 Our inspection for radiation contamination is charged at a fee of ¥1.950 (this cost may increase if your vehicle is not inspected at one of our Inspection facilities). In this case, feel free to ask for a quote when making a booking. Book your Radiation inspection on-line here.